Smallworld™ GeoSpatial Analysis is an easy-to-use business intelligence solution from GE’s Digital Energy business. An integral part of the Smallworld product suite, Smallworld GeoSpatial Analysis offers easy and efficient access to spatial and non-spatial data from distinct, distributed systems. This data can be shared across the enterprise, empowering a wide range of users with visualization, query, analysis and reporting capabilities. Smallworld GeoSpatial Analysis introduces the concept of business objects which link together spatial and non-spatial information, maps, photographs, documents, and websites in a unique and flexible way. These business objects match end-user needs and form the basis for detailed analysis and further visualizations. Smallworld GeoSpatial Analysis can enhance an existing Smallworld deployment with a new dimension in data management, visualization, analysis, and reporting through the organization. Navigate: Use standard gestures to efficiently navigate in the map. Query: Choose from predefined queries or create on the fly, using an intuitive query builder or a powerful expression language. Locate: Use an application-specific locator or a standard locator service for quick location of assets. Select, Measure, and Inspect: Use the easy select options to inspect, measure and highlight objects of interest. Follow smart tags to other maps or documents. Filter and Aggregate: Use intuitive data filtering to drill down relations or aggregate objects following relations. Analyze: Use adhoc “what-if” analyses to quickly narrow down the result list or use specific, pre-configured analysis to produce a thematically colored map with bar or pie charts. Plot: Generate output of high quality graphical and tabular data. Use templates containing elements such as company logo, legend, and north arrow. Report: Produce comprehensive reports that combine alphanumeric and geospatial information. Data Export: Create adhoc or wizard-driven exports in a range of formats, including Microsoft® Excel, Shape, KML, csv, and TomTom®. Add Feature Sources: Access a wide range of feature sources directly and maintain data integrity. Build User-Friendly Business Objects: After adding feature sources, data can be integrated and aggregated, remodeled and interrelated as if it were one single source. Business Collections: Create Business Collections from base tables with lookups and aggregates. New information can be derived from existing data and visualized on the map. Analyses: Use a wide range of analysis capabilities like slicing, grouping, flattening, joining, cutting spatially, buffering, and nearest neighbor functions to generate instant tangible results. Note: Screenshots provided are of preproduction software and may not be representative of the final version. Smallworld GeoSpatial Analysis Standard provides easy-to-use visualization and reporting tools for deployment to everyone throughout the enterprise. It operates on pre-configured data sources, services, reports, queries, analysis definitions, and map templates. It is packaged for a wide range of users (including casual users) to support many departments and their business processes. Smallworld GeoSpatial Analysis Professional extends the level of functionality available. Designed for the power user, it offers rich configuration and definition functionality for ‘on-the-fly’ modeling, adding new feature sources, in-depth analysis, filtering, and data reporting. Smallworld GeoSpatial Analysis Professional is also required to define the pre-configured data, templates, queries, and analyses for use within Smallworld GeoSpatial Analysis Standard. Smallworld GeoSpatial Analysis Ultimate is targeting the Expert users (typically Business Consultants), offering advanced capabilities to translate the Asset Management business knowledge and rules into a Business Object Model to perform key Asset Management Analysis. Smallworld GeoSpatial Analysis Ultimate offers additional capabilities to export and share data in a data mart for enterprise-wide usage. It also allows Services teams to design and configure custom solutions and ship/adapt them to individual customers. Smallworld GeoSpatial Analysis Lite is a web browser-based application to access the value of the visualizations and Business Objects defined in Smallworld GeoSpatial Analysis desktop editions. The focused user interface of Smallworld GeoSpatial Analysis Lite is optimized for web browser-based user experience and is extremely easy to use. With Smallworld GeoSpatial Analysis Lite, customers can get their GeoSpatial Analysis project configurations exposed in the web to reach out to everyone within the enterprise. Focused applications allow tailoring information and presenting it in an optimized way to support business processes and various information needs (i.e., Dashboard, Reports for Managers, QVP and thematic maps for process workers). The Smallworld GeoSpatial Analysis Lite Software Development Kit (SDK) enables the individual creation of custom focused applications to support business specific needs and requirements. Smallworld GeoSpatial Analysis Lite SDK provides the necessary APIs to customize and extend GSA Lite clients as well as to develop custom business services to build individual focused solutions. Smallworld GeoSpatial Analysis Spatial Data Warehouse is the enterprise wide solution for integration, analysis, reporting and distribution of asset information. It provides a secure, certified environment for mature asset management by enabling time invariant analysis and reports. The Smallworld GeoSpatial Analysis Spatial Data Warehouse solution automates best practices from data warehouse for spatial data, integration and performance. Its native support for Utility networks and geometry histories, built-in capabilities for data models evolution with zero-coding configuration, and high performance make the Smallworld GeoSpatial Analysis Spatial Data Warehouse unique in the marketplace. 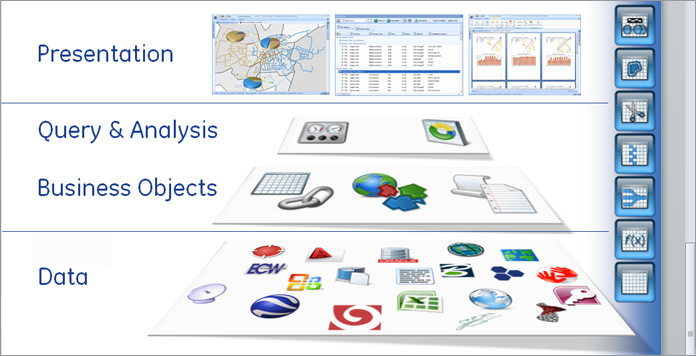 Smallworld GeoSpatial Analysis integrates data from different sources into Business Objects and Business Layers. This unique approach shifts data integration from feature oriented data modeling towards business oriented data modeling. Business Collections offer the possibility to set up conceptual models that span multiple sources, allowing for additional flexibility, and create information that is understandable for the user. Smallworld GeoSpatial Analysis is based on fast and efficient data management and streaming techniques. 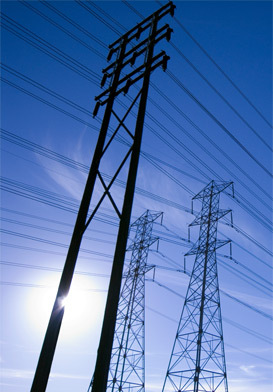 No complex data load and transformation processes are required. Smallworld GeoSpatial Analysis exploits the strength of industry standard data adapters. For optimal performance, we have developed specific data adapters, like the Smallworld DataStore adapter. Creating new information in Smallworld GeoSpatial Analysis on-the-fly is as easy as it is in Microsoft Excel. Add new attributes to business objects, create relationships and convert data in many different ways by using a powerful and flexible expression language. A context sensitive expression builder assists the user in easily building advanced expressions. The advanced way in which Smallworld GeoSpatial Analysis queries data sources allows users to dynamically interrogate multiple data sources. Dynamic query parameters allow the user to use sliders and see the query results change dynamically on the screen. Within Smallworld GeoSpatial Analysis you can model reports including alphanumeric data and geographic maps. 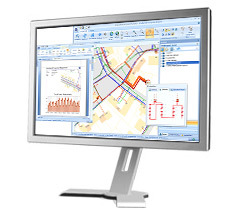 This allows the user to create reports including network and network asset data, technical drawings and buildings in one step. Optimal integration of geospatial information requires advanced geographic transformation functions. Data, maps and rasters stored in different coordinate systems are transformed to the coordinate system in use on–the-fly. Each spatial database has its own way of storing and describing geospatial data. Smallworld GeoSpatial Analysis uses an advanced geometry model, which makes it possible to integrate spatial information from different sources without the risk of losing data intelligence. Microsoft Windows® XP with SP3, Microsoft Windows Vista®, Microsoft Windows 7, Microsoft Windows Server 2003 and 2008, Microsoft Windows Terminal Server and Citrix Metaframe® Server.